Dogs and humans are friends who sharelife's ups and downs. It's believed that the Dog is caring and reasonable due to its unswerving loyalty to humans, having many symbolic cultural meanings from the perspective of folklore. 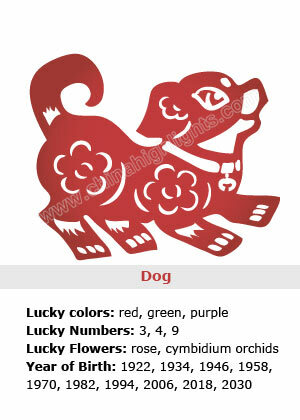 The Dog is considered to be a lucky animal by Chinese people. 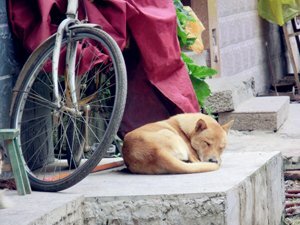 The owner of a house will be very pleased to adopt a stray dog which suddenly runs into his house, because it indicates that fortune is coming. The Dog sticks together with its master through thick and thin, and it gives a warning to its master if something bad (such as a hidden thief in the house) is about to happen. The Dog likes barking, but it barks for a reason;therefore, the ancient people were able to predict good or bad luck according to the different timesadog barked. 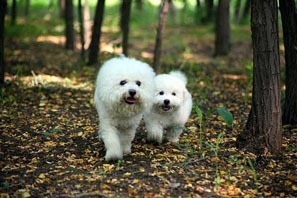 The hairs of dogs are yellow, red, white, black, brown or a combination of two or more colors. 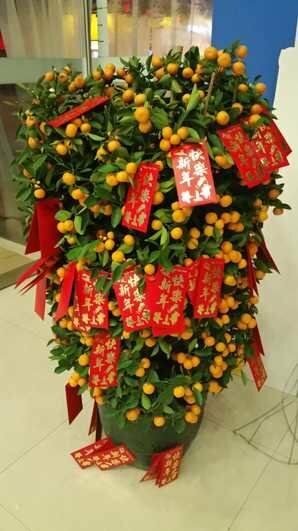 The different colors signify different qualities, according to the perspective of the ancient Chinese people, withyellow being the best quality, and white being the worst. It is believed that ablack dog with yellow eyebrows is idealfor guarding the house, anall-black dog is the root of financial trouble, and ablack dog with a white belly and rearwill bring disaster. 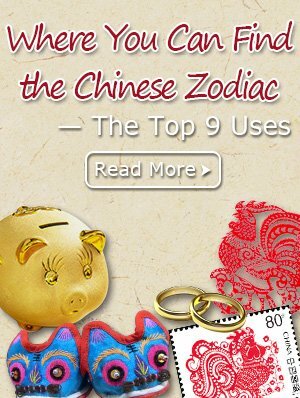 Apoodle is widely considered to be lucky, and it will bring great fortune to its master, especially ablack one. Ayellow dog with light eyebrows is considered to be lucky, while one with dark eyebrows is considered to be unlucky. As far as black and white dogs are concerned, they have different symbolic cultural meanings. It is generally believed that awhite dog with a black head brings fortune to its master, and a white one with a black tail brings honor to its master. It's profoundly believed that ablack dog with white ears brings its master riches, and one with white forelegs brings its master many children. Ayellow dog with a white tail keeps its master from worrying about food and clothing. In addition to indicating good or bad luck, the Dog also plays a role in driving away disasters according to ancient Chinese beliefs. The Dog has the essence of Yang(one half of the two symbolic polarities in Chinese philosophy, with Yin as its counterpart) according to the Yin-Yang Theory. The Yang energy will thrive if the Dog is cooked in the east direction, and it nourishes everything on the earth. According to the Five Element Theory, the five elements (Gold, Wood, Water, Fire, and Earth) signify the relationships of generations and restrictions, and are constantly changing and in motion. 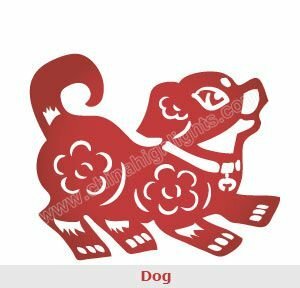 The Dog pertains to the Gold element and counteracts the Wood element, which also corresponds to the west direction and counteracts the east direction;therefore, itwas widely considered by the ancient Chinese peoplethat killing dogs in spring would make everything grow. It's not a greattheory that the Dog can drive awaydisasters. Li Shizhen, the famous medical scientist of the Ming Dynasty (1368–1644), wrote in his works An Outline Treatise of Medical Herbs: "It's believed by astrologists that the Dog can drive awayall evil spirits, therefore, it has become a custom to paint the blood of white dogs on the gates since ancient times, and dogs miserably fall into being the victims of human beings as the commonest sacrifice due to their magical effects". The Dog is a good partner tohuman beings, while Tengou (the Heavenly Dog, a name of a beast in myths) is a devil that people are afraid of. 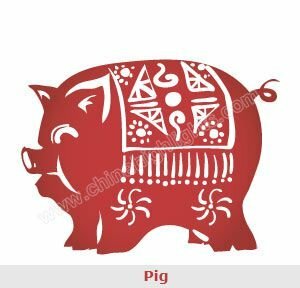 Afortune-teller can providea full list of things to avoid for those who choose their lucky day for marriage, including never offending the Tengou.There are other things to avoid which are also related to the Tengou. It's said that the Tengou can make females infertile, althoughit will have bad luck if it encounters Zhang Xian. Zhang Xian is a legendary handsome man holding a slingshot and a pellet in his hand, who looks up and takes aim at the Tengou, being ready to shoot the Tengou down. As a result, infertile women often offer sacrifices to Zhang Xian to pray for babies. It's also believed that the Tengoucan swallow the moon, resulting in the lunar eclipse. 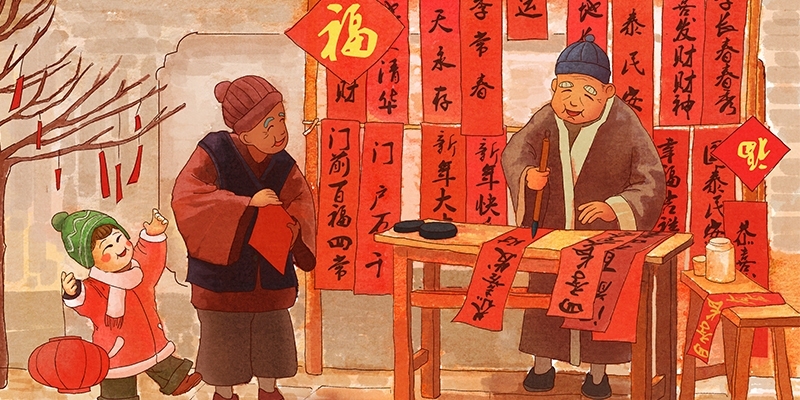 As the lunar eclipse occurs, peoplebeat drums and gongs to keep the Tengou from swallowing the moon. It's said that the Tengou will spit out the moon as it fears the loud noise, so the moon becomes full again. Not only do mortals keep dogs, but the immortals in heaven also raise them according to traditional Chinese myths. The legend goes that Yang Jian (the legendary Er-Lang God) keeps a deified dog (called the Barking-Sky Dog), and it always follows Yang Jian to assist him in vanquishing demons and monsters. The symbolic cultural meanings and legends of the Dog are the crystallization of the collective wisdom of the ancient people.They are a combination of natural elements and mythical elements, and it's not advisable to either deny or accept them completely. It's wise to understand people'sattitudes toward the Dog through this mysterious veil.